Welcome to the Brock University Students’ Union clubs page. Here at BUSU we have over 90 unique and amazing clubs! Please view the complete clubs directory below and if you see something you’re interested in, feel free to contact the club directly via email and get involved! If you think we are missing something as a club, feel free to create it – there’s information below on how to start your own club! If you have any questions feel free to email the Clubs Coordinator at [email protected] or stop by the BUSU office! This includes a club constitution membership list, indemnity forms, and signing officers forms. BUSU also needs to know the clubs contact information and description for our website. The Clubs Coordinator should be your first contact for questions about creating a club, the steps involved and potential partners around Brock. They will provide you with the dates when the next ratification period is open (three weeks in November and three weeks in March). Each semester BUSU will hold an information session for anyone interested in starting a club. At the information session you will be given all the paperwork required. The next information session is on November 28th, 2018 at 11:30-12:00pm & 2-2:30pm in Isaac’s Lounge! Fill out all the ratification documents that were handed out during the information session. This includes a club constitution, indemnity forms, and signing officers forms. BUSU also needs to know the clubs contact information and description for our website. BUSU staff will review and approve all ratification forms. Congratulations, you are now a BUSU ratified club! BUSU’s clubs team will be in contact to talk about next steps. This includes helping you arrange your first meeting and setting you up with an ExperienceBU page. Once you have a page on ExperienceBU you will be given access to the Clubs Portal. The Clubs Portal is where you can access most of the perks of being a BUSU ratified club. This includes room bookings, table bookings, funding requests and print requests. All undergraduate students pay into a Clubs Levy which provides funds available for all clubs to access. For information on how to request funding, see below or email [email protected] Some items commonly funded are t-shirts/SWAG, conference fees, event supplies, etc. All clubs are provided with free poster printing (up to 250 pages) as well as one free banner each year. Don’t have a design yet? Try Canva.com, a free, easy-to-use, online image editor. As a ratified BUSU club you are entitled to a free locker on campus to help store club supplies. Stop by the BUSU office to register for one! This can be in person, through email, or over the phone. 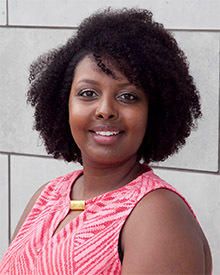 The Clubs Coordinator will guide you through the budget process, any connections BUSU might have to get you a better deal, help with your presentation, etc. Look at hotel costs, travel arrangements, ticket prices, etc. 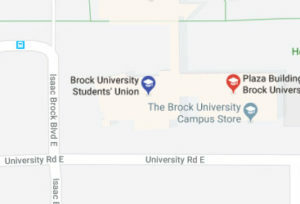 This template is short, to the point and most effective to present to the Clubs Policy Committee, Brock University Student Administrative Council (BUSAC) or the Board of Director’s. Once you and the Clubs Coordinator have gone over the power-point and finalized it, the Clubs Coordinator will get you onto the agenda for the Clubs Policy Committee. All presentations must come before the Clubs Policy Committee (CPC) before they are seen by other student bodies. The CPC can approve requests UNDER $1500 at the committee level. BUSAC meets every OTHER week in the 13th floor boardroom in the tower. If you have special request, (ie. Making a cheque out to Niagara Classic Transport, etc.) please inform the club coordinator and they will take care of it. O-Week Clubs Fair – the main club event of the year. Your opportunity to advertise your club to the 4,000 first year students. Provide volunteers for move in day in order to secure yourself a table. Sign up for move in day begins early August.